Never any obligations or pressure to sell! We may be able to give you multiple offers, all cash and terms! We may be able to buy with tenants! Contact us to find out! Receive your free offer within 1 business day! Within 1 business day we’ll make you a no-obligation offer at a fair price. You decide if it’s a fit! Sit back and wait for your check. What do you think we did well? It was simple and easy and your offer came in higher than competing offers. Tell us about your situation and how we helped… We did not have the time nor could exert the effort to do the renovations to get the property up to speed to rent or sell. You gave us an offer… that seemed fair. We knew you would make some money on it but we did not have the hassle and my time is valuable elsewhere. Quick Home Offers has bought countless properties from sellers thinking “sell my house fast Bakersfield” and were able to close quickly. We also structured creative deals to suit all of our client’s needs. Before accepting any offer from another “we buy houses Bakersfield” company, make sure to get an offer from Quick Home Offers! You might get more than you expect! Receive An All Cash, As Is, Offer Within 1 Business Day. 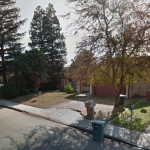 Are You Looking For A Bakersfield Cash House Buyer? Do you want to sell your Bakersfield House for Cash, As-Is without having to repair anything? Quick Home Offers provides you with The Easiest Way To Sell! Think of us as your “Magic Button” to sell your Bakersfield house ;-). Maybe you’re just not up to paying thousands of dollars out of your own pocket to fix the place up, or maybe the property is just far away and it’s just a big hassle to deal with. What ever the issue, selling conventionally might not always be the best scenario for property owners. Often times retail buyers will leave a property in escrow for weeks or months, then pull out because the financing didn’t come thru, or they found an issue with the property, or found a nicer house. What’s more, they’re probably going to ask you to fix the place up before the buyer closes! If you need to sell your house fast in Bakersfield we are here! We Buy Houses Bakersfield And All Over California. Find Out Why We’re Considered The Easiest Way To Sell A House! 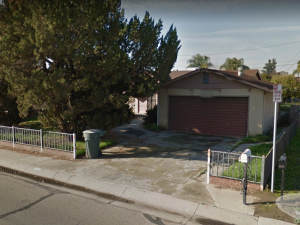 Sell Your Bakersfield House As – Is for Cash! We’re The Easiest Way To Sell! There are countless reasons why you may want to sell your Bakersfield property, like bad tenants, maybe your property needs work and you don’t want to fix it up, you live far away, or just want an easy sale. If you’re thinking “sell house as is cash Bakersfield”, “sell house fast Bakersfield”, then Quick Home Offers can provide you with a simple solution. 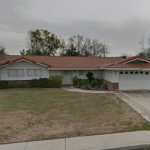 Quick Home Offers is a Bakersfield, California house buyer. We use cash to purchase properties that need repairs, or need to be sold quickly. Don’t accept an offer until you’ve heard ours first! We Buy Houses Bakersfield! 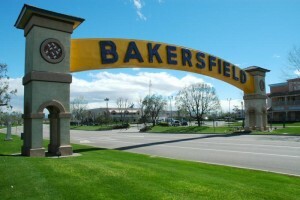 We’re Bakersfield’s premier cash house buying service! We also buy in many other places aside from Bakersfield such as Ventura County, Los Angeles County, Inland Empire, Fresno, and more! Remember, there are no obligations to accept a offer. There are no commissions, and no closing costs you have to pay for! It really is the easiest way to sell. If you’re looking to sell your house cash as is in Bakersfield the easy way, simply request an offer from Quick Home Offers!